In this oral history interview, Marilyn Branch-Mitchell (W’78) sat down with Ayele d’Almeida (’20), Jacob Roberson (’19), and Mysia Perry (’21) on June 18, 2018, in Boatwright Memorial Library. 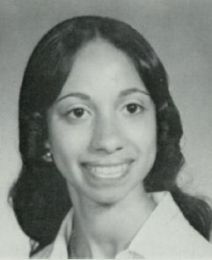 Over the course of the thirty minute interview, Branch-Mitchell discussed her childhood growing up in Chesterfield County, an area of which was annexed by the City of Richmond in 1970, and attending segregated public schools in the county. She speaks about various experiences at the University of Richmond, from her participation in the Student Organization for Black Awareness (SOBA) and the student government, to the differences and similarities on campus for Black students and Black student athletes, the effects of colorism amongst the Black student population, her experiences in the Sociology and Religious Studies Departments, and how she and her husband, Greg Mitchell, have stayed connected to the University of Richmond, including through the UR Black Alumni Network (URBAN). 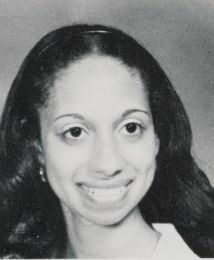 Marilyn Branch-Mitchell was born and raised in Chesterfield County where she attended a segregated elementary school until the city of Richmond’s annexation of a portion of Chesterfield County. 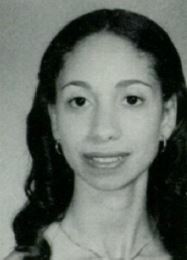 She then attended Elkhardt Junior High, one year at Manchester High School and graduated from Huguenot High School. She was introduced to the University of Richmond by a high school English teacher when her class attended a literary symposium at UR. Marilyn was impressed by the university and decided to enroll where she could leave home to live on campus but still be close to her family. She was very naive about how her family would afford the tuition and in 1974, there were no scholarships or incentives from the university. Her parents sold land to a developer in order to afford the tuition as they felt strongly about providing a good education and helping to de-segregate a Richmond institution. Marilyn graduated from UR with a degree in Sociology and accepted a position managing a program assisting older adults to re-enter the work force with the local Area Agency on Aging, Senior Connections. She married Gregory Mitchell, who she met while attending UR and after almost 10 years, she paused her career to be a stay at home Wife, Mother and Volunteer. She volunteered as a troop committee member with her son’s Cub and Boy Scout Troops and she volunteered as newsletter editor for the troops and several of her son’s school PTA’s. Marilyn is a lifetime Girl Scout and was a troop leader for her daughter. Marilyn returned to Senior Connections working with Volunteer programs and later accepted her current position as Human Resources Director at the Agency. Click here to listen to his joint interview with her husband, Greg Mitchell. This oral history is available for academic purposes--including but not limited to research by students, faculty, and staff--by permission from the interviewee (Marilyn Branch-Mitchell). The interviewee maintains the copyright, and must be contacted via the Race & Racism Project (urraceproject@gmail.com) for permissions for use outside of academic purposes. 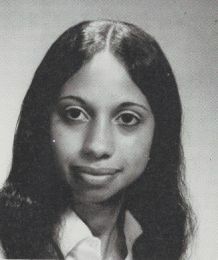 “Oral History with Marilyn Branch-Mitchell (W'78),” Race & Racism at the University of Richmond, accessed April 18, 2019, http://memory.richmond.edu/items/show/2909.